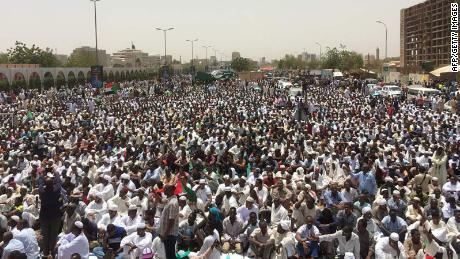 The group that has been leading the anti-government protests, the Sudanese Professionals Association, or SPA, has rejected the “coup declaration,” and has called on people to press on with demonstrations and to stage a sit-in outside military headquarters. Late Friday, in a statement on state news, Ibn Auf announced he would step down from his position as the head of the military transitional council, appointing Lt. Gen. Abdel Al-Fatah Abdel Rahman Burhan as the council’s new head. Ibn Auf also said he released the deputy head of the transitional military council, Kamal Abedel Maarouf, from his duties. 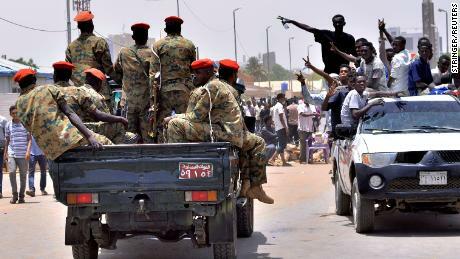 On Friday morning, the UN Security Council was set to discuss developments in Sudan in closed door discussions, according to the United Kingdom Mission to the United Nations.